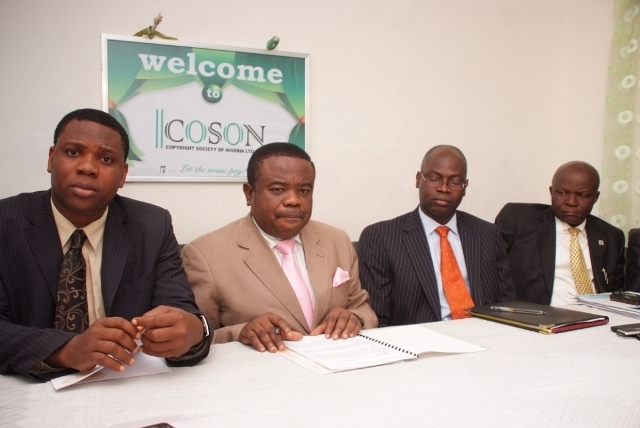 Copyright Society of Nigeria (COSON), the nation’s sole government approved collective management organization for musical works and sound recordings has filed a landmark copyright infringement action against Globe Broadcasting & Communications Ltd, owners of the well known radio stations, Wazobia FM in Lagos, Abuja, Kano and Port Harcourt and the stations’ CEO, Mr. Amin Moussalli. In suit No. FHC/L/C69S/598/12 filed at the Federal High Court, Lagos on 5th June 2012, COSON is asking for the award of more than one billion naira in unpaid royalties and damages against Wazobia FM and its owners for the unauthorized copying, broadcast and infringement of the copyright in the musical works and sound recordings belonging to COSON members, affiliates and assignors. In the writ endorsed by Lagos IP lawyer, Mr. Justin Ige of Creative Legal, Seun Omotoba & Co, COSON has also asked the court for exemplary damages in the sum of Five Hundred Million Naira and aggravated damages in the sum of Two Hundred and Fifty Million Naira. Reacting to the development, COSON Chairman, Chief Tony Okoroji who was present in court as the suit was filed said, ‘It’s a new day for the creative industry in Nigeria. Those who have followed this process will vouch that we have been patient with broadcast stations and commercial users of music in Nigeria. It will be recalled that in 2011, COSON petitioned President Goodluck Jonathan and the National Broadcast Commission (NBC) on the activities of Wazobia FM and its owners.